Sharon M. Fitzgerald, MA is a Los Angeles native and currently lives in Los Feliz near Griffith Park. She received her bachelor’s degree in Art Studio from the University of California, Santa Barbara and her master’s degree in Art History from California State University, Los Angeles. 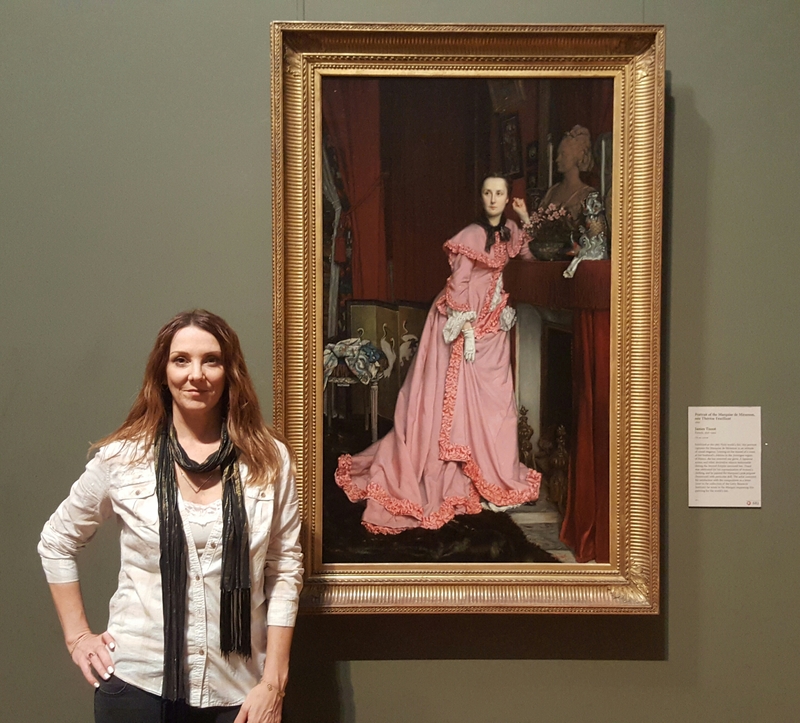 In 2009, while teaching Art History at CSULA, Sharon established The Art History Channel as a way of sharing the history of art with people outside of the traditional university setting. Through the Art History Channel, Sharon lectures at public and private venues throughout Los Angeles and publishes art history books in a series by the same name. Growing up in Los Angeles, Sharon was also attracted to cultural influences that extended way beyond the classroom. In high school, Sharon was immersed in the L.A. punk scene, graffiti art and the emerging skateboard culture. After college, she went to Europe for a two week trip but ended up tearing up her return ticket and staying in Prague for a year. That was in 1992 when the country was still called Czechoslovakia, just a few years after their Velvet Revolution and the end of Communism. Intrigued, she returned in the summers of 1995-1998 and ended up working for Sony Music in Prague in the summer of 1997. In fact, the city made such an impression on her, she is writing a fiction series called Lost in Prague which will be published under the moniker, S. M. Fitzgerald. Today, you can find Sharon at art openings in downtown, vintage movie theaters and live music where it’s happening. She also loves to walk in Griffith Park and hang out in Venice Beach on the weekends. When she’s not in L.A. she can be found in Joshua Tree at Pappy & Harriet’s Saloon in Pioneertown or attending a spiritual Sound Bath at the Integratron. Stay connected with Sharon on social media and join Sharon’s Mailing List HERE.